Dedicated to Michael K at Dlisted because I can only imagine what he’s imagining when he watches this video. I know what I’m imagining and I’ll be imagining it the next time I need a self manual. 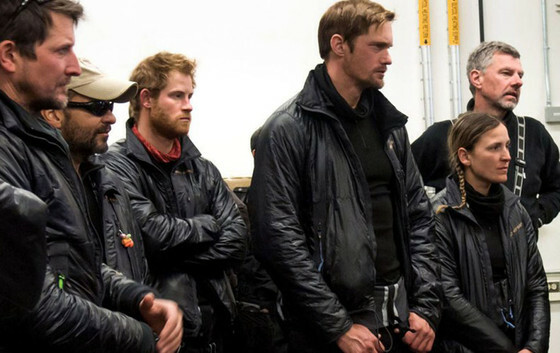 You’ll recall, Prince Harry and Alexander Skarsgard went to the South Pole together for Walking With The Wounded. Evidently they decided to spend part of their time, as we do, shooting stupid videos. In a tent. Up against the cold. And at one point, Alex tries to feed Harry. Suddenly, in the version I’m editing in my mind, everyone else disappears. Harry takes a strand of Alex’s beard and runs it through his fingers. God. It’s like Jack and Ennis only without the horrible heartbreak. I mean… I really needed this today.